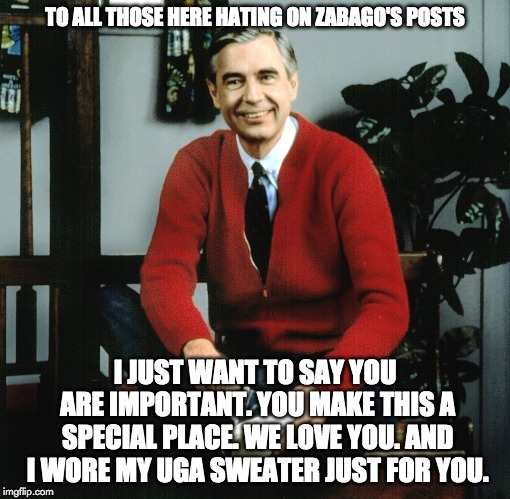 TO ALL THOSE HERE HATING ON ZABAGO'S POSTS; I JUST WANT TO SAY YOU ARE IMPORTANT. YOU MAKE THIS A SPECIAL PLACE. WE LOVE YOU. AND I WORE MY UGA SWEATER JUST FOR YOU.